Though Republicans control the House and could have used their constitutional “power of the purse” to defund Planned Parenthood in December, they caved to Democrats and instead passed a $1.1 trillion omnibus spending bill that contained – among many other items on the establishment wish list – funding for Planned Parenthood. Speaker Paul Ryan said about the spending bill, “Democrats won some, they lost some; we won some, we lost some,” reported Roll Call. 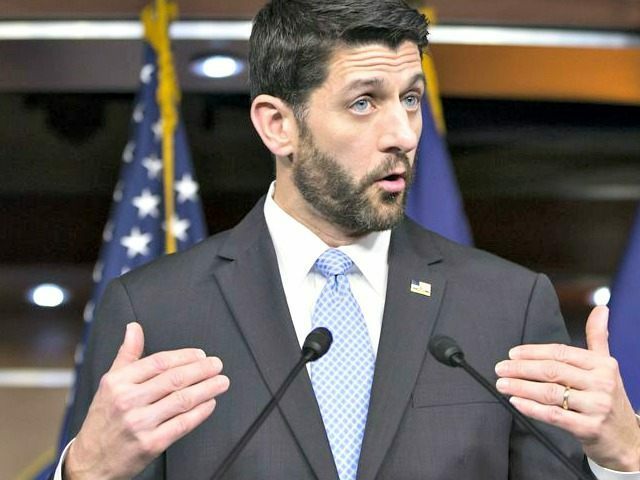 Knowing the leftwing media would have blamed them for an ensuing government shutdown if they refused to fund Planned Parenthood in the omnibus, GOP leadership surrendered and then attempted to save face with a show vote in early January – on a separate bill to repeal Obamacare and end Planned Parenthood funding. That measure passed Congress using the reconciliation process which requires fewer votes. Obama, predictably, vetoed it. Had Obama refused to sign the must-pass omnibus without Planned Parenthood’s funding in December, it would have been the president himself who was to blame for a government shutdown. The new conservative media would then have stood behind Republican leaders in Congress for upholding their constitutional duty by refusing to fund a potentially criminal enterprise like Planned Parenthood. Now, however, we have a new year and Planned Parenthood is once again funded, and Obamacare is still rolling along. In reality, more than one man has stood in the way of defunding Planned Parenthood in 2016. Republicans who approved the omnibus spending bill that funded the abortion business for most of this year could have rejected it, as did steadfast pro-life members of Congress. As for a “precedent” being set with the reconciliation show-vote, America already has a “precedent” – it’s called the Constitution. It tells us the House of Representatives can terminate funding for activities and programs it deems inappropriate. It’s always easier to have a president in the White House who wants what you want. But, when you don’t, it’s time to fight and use the power and authority you have – and the Constitution provides. Evangelical leader Franklin Graham left the Republican Party after GOP leaders included Planned Parenthood funding in the omnibus spending bill.